Well relic neutrinos, leftovers from the Big Bang, have been in the news this week. Neutrinos were originally thought to be massless particles, but now it seems having just a little bit of mass fits the data the best. 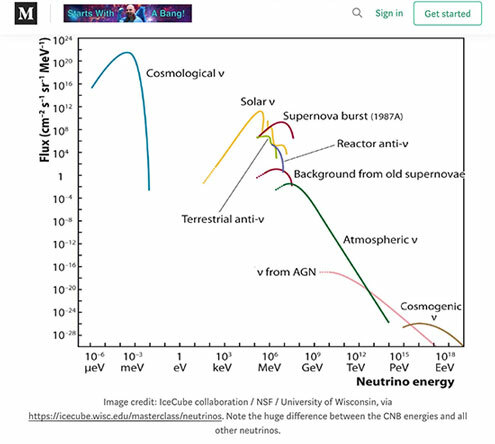 The energy spectrum and sources of neutrinos covers a wide range of energies as outlined in the chart below. Note how the flux of the early relic or cosmological neutrinos can be several orders of magnitude higher than other neutrinos produced today. So there are many weak nuclear processes that can generate neutrinos and there are many ways neutrinos then interact with ordinary matter and can be detected as a result of those interactions. The production of neutrinos at about a second after the big bang (BB) allows measurements to probe back to that very early history of the universe. 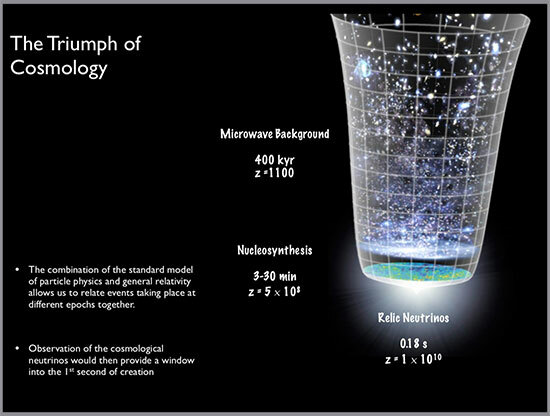 In the chart below we see how the Cosmic Microwave Background (CMB), which was generated at about 400,000 years after the BB, at what is now a redshift of about 1100, can be used to probe back to that era. To go further back in time is where the relic neutrino spectrum comes in. 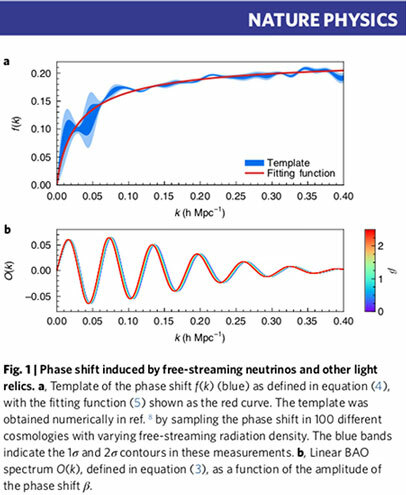 Note how the relic neutrinos were formed at a red shift of about 10 billion. So relic neutrinos are pretty thinly spread out now with the expansion of the universe, but back in time after the big bang the mix of matter was different. 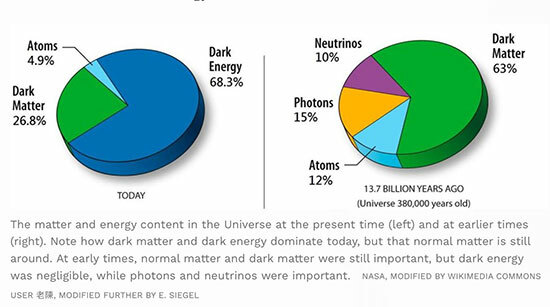 You can see at that time the neutrinos made up about 10% of the energy content. Now the neutrinos have become diluted and the amount of dark energy has increased and continues increasing. So, these relic neutrinos can be a probe going back to the early years of the universe, but any measurement must be able to identify the difference between all of the other neutrinos being produced today. 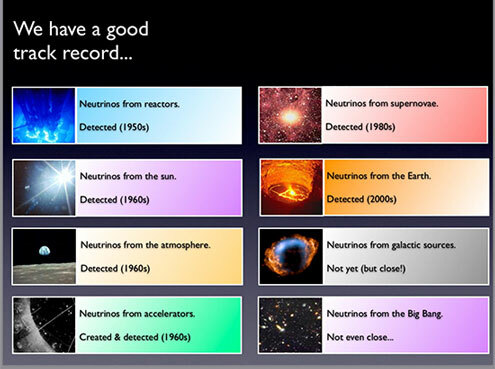 In this next chart from 2010 you can see how the track record of detecting neutrinos has been getting better and better. I think the two bottom right scenarios in the slide are about to marked up as detected. We will see! Finally, we can mention the latest neutrino news. We have seen from announcements in 2015 that the effects of early neutrinos had been detected in the CMB. Now with this February 25, 2019 announcement we see how the relic neutrino flux affected and can be seen in the large scale structure of galaxies today. Because of the gravitational effects of the early relic neutrinos on the structure and birth of the first galaxies, measurements are now possible to show how the neutrinos left evidence of their effects in the Baryon Acoustic Oscillation (BAO). As the universe expanded after the big bang, small density difference would eventually become more and more concentrated by gravitational attraction. The BAO is similar to sound waves in that the small differences in pressure as material expanded and these small differences then resulted in areas of lower density and of higher density and it is in these areas where early galaxies would form. The amount of relic neutrinos affected the BAO density and therefore left some slight effects that are now measurable as a phase shift in the BAO. The chart below shows the slight difference in phase shift that is attributable to the relic neutrinos. There is a lot of physics hidden in the chart and I am still trying to work through how all of these affects and processes work together. One of the major problems that the physicists had to overcome is to remove the effects of present day neutrinos and other gravitational and astrophysical processes that were also ongoing at that time. So, that is the neutrino news. Next on the agenda was the OCA Astroimagers SIG which covered new equipment that some members were trying out. Two items were of special interest to me. I was especially interested in the lightweight goto mount from Sky Watcher, AZ-GTI. This new mount weights in at 8 pounds, which meets my desired goal of having a ready to travel mount, that I can just mount my camera on, that I can carry outside with one hand. Our friends at Amazon can get it to you for about $349, so if you decided to get one be sure to click on Amazon link on the OCA webpage to get some additional share going back to the club. 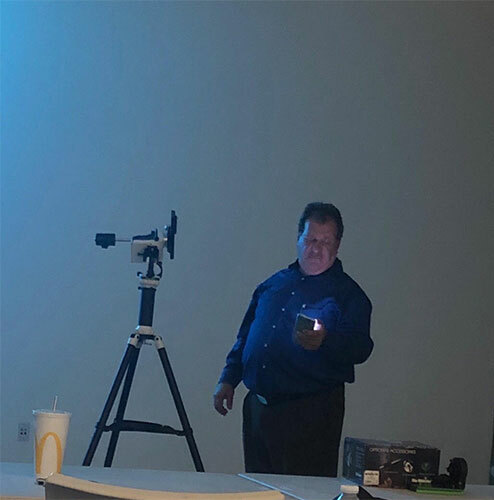 In the photo below, OCA Craig Bobchin, demonstrates the control of the mount from his smartphone. His goal was much like mine and it was good to hear about the pros and cons of this lightweight goto mount. It might not be the best for serious astroimagers, but for those of us without a permanent setup, the ease of carrying the mount outside with one had is very important feature. Thanks for that feedback and demonstration, Craig! OCA Dave Kodama presented the new Nikon P1000 camera which has superzoom capability allowing 24-3000mm focal length zoom operation. My current telephoto lenses have focal length ranges of say 75-300mm and of 55-200mm or 150-600mm, so this new available much wider range of focal length is pretty neat! 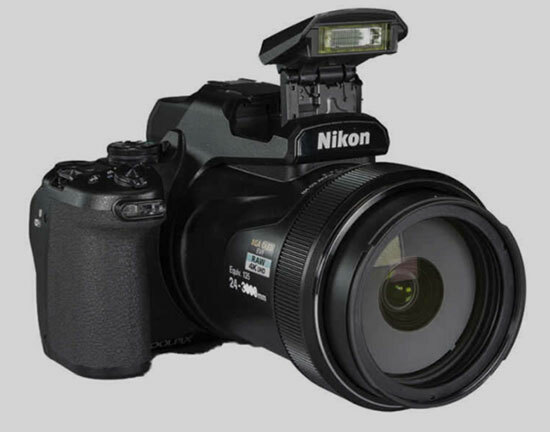 The camera has a small image sensor and its performance under low light conditions might not make it that useful for astroimaging, other than the Moon, but the wide zoom range makes the camera very interesting. My friends at Amazon can drop it on your doorstep for about $999. Based on what I saw at the OCA Astroimagers SIG, I am going to get one of the lightweight mounts. My goal is to emphasize ease of carryout and setup over image quality, so it looks like it could be a good match. And you get goto capability for small scopes or in my case just my DSLR. Ok, we have an upcoming OCA Star Party, but the cloud forecast is not looking so good. 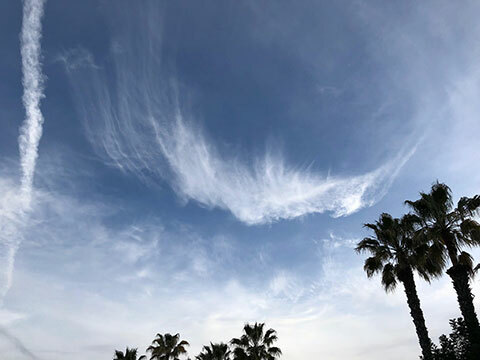 Check out what I see when I look up in the sky now. I've been seeing mostly clouds when I look up and I'm starting to see things, like a big snowy white bird flying over. What do you see? 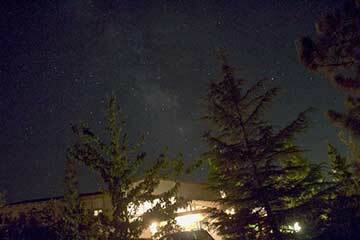 Ok, so I'm saying that the Star Party will be clouded out, so best to find a good book for indoor reading. 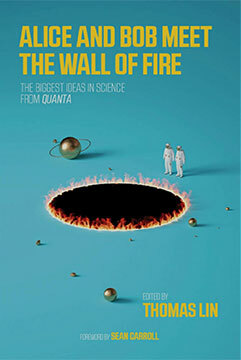 OCA Science Nerd and Theatre Impresario, Scott, recommended this book, "Alice and Bob meet the wall of fire.". If you like reading Quanta magazine then you will surely like reading these many articles on many of the big stories in science. Alice and Bob of course are the legendary characters of various tellings of quantum mechanics where different observers often see things differently, from a different perspective, and therein lies the process by which we come to better understand the theory. I have enjoyed reading many of the stories already and look forward to reading the rest of them. Well, and if the clouds keep showing up, we will have more time available for reading and other non-observing activities! Thanks for reminding us about the book, Scott!